To add content and widgets on your website, you will start to log in to the Sitebuilder. 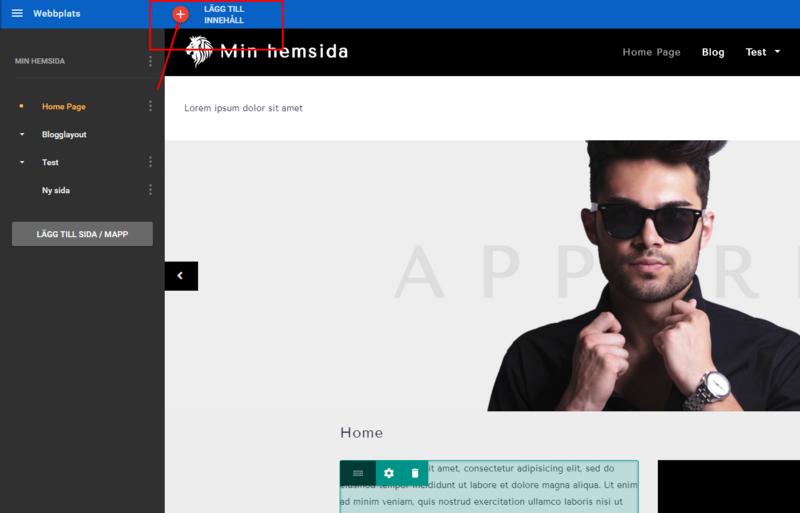 Then you should be able to see a button labeled "Add Content"
After that you should get a menu with different tools you can add to the page, such as text boxes, images etc. Then to get it on your site, just drag it to the page where you want it. It will be marked with a blue-green-completion where the text box will end up. 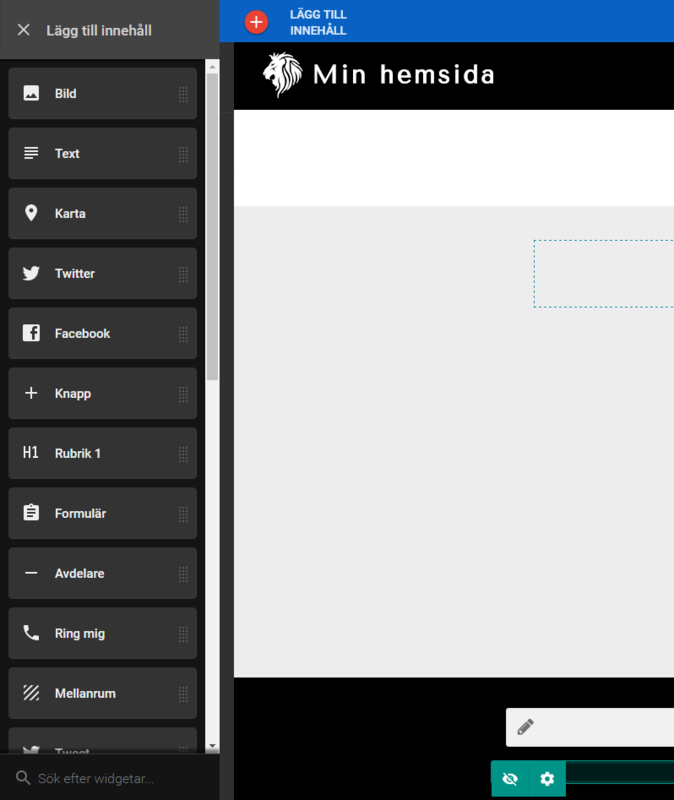 Once you have released the widget, in this case a text box on your website you should get a box with text. And then will you be able to edit the page by pressing the text box and click on the "gear". 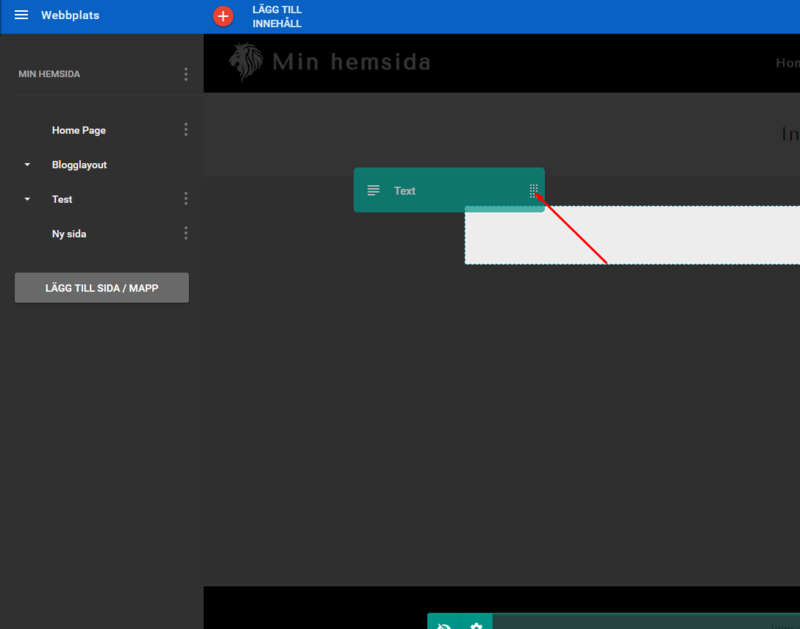 And delete the text box on the "bin" and then you can move these widgets by dragging the box around the page!